What’s the first thing that springs to mind when I say/write ‘vinegar’? In Britain it would definitely be ‘fish and chips’. In an eco-warrior’s house it might be ‘cleaning spray’. I don’t think many people would say ‘fruit’. I may be showing my age but I wouldn’t be without a bottle or two of fruit vinegar. Just as I like to see a sticky shelf lined up with mismatched bottles of homemade jams (very Little House On The Prairie), I now like to see a few bottles of brightly-coloured, sharp-sweet fruit vinegar alongside. I used to think they were only good for drizzling over fancy salads, but I have come to find that fruit vinegars are as useful to me as ‘regular’ vinegar – just in different ways. In fact, it is a very inexpensive way to make lots of things more special. Once you see how easy it is to make – and I have included a cheat’s version too – you are sure to find room in your summer schedule to make up a few bottles of jewel-hued fruit vinegar. You may want to make enough to give away to discerning friends too. Fruit vinegars are also a good first step to the nerdy but nice world of food preserving: food preservation for the uninitiated. Happily there are no setting issues or faffing with thermometers; just boil it up and bottle. I have only made fruit vinegars a few times but I know that this is something that I will keep up with, adding to my repertoire as new possibilities come into season. I fancy making plum and chili vinegar next. Anyone tried anything like that? For this recipe use whatever berries take your fancy, so long as they are dry before using. This most recent effort has been a refreshing red currant and rosemary (as inspired by Womersley’s blackcurrant and rosemary) and a fantastically sweet-tart raspberry vinegar. See below for other possible combinations, as well as plenty of ideas of how to use your vinegar. I am thinking that a flourish of raspberry vinegar might be a nice foil for a sweet dessert risotto. Of course it could be a hideous lurid mess, but I may just give it a go. As for the sweetness. I have cut down a little on the sugar of traditional recipes. You can leave the sugar out altogether but that will give you a different ingredient, with different uses. When using the sugar note that different fruits will need differing amounts of sugar: trust your instincts on how much. For instance, a gooseberry vinegar will need more than a strawberry one. Once bottled and made, use within one year. Not a hard task. These recipes are easily doubled and tripled. 500g (4 cups) raspberries or other berries, brushed gently with a pastry brush to remove any unwanted bits; for stripping currants from their racemes, see image below. Basically, use a fork. 1. Pop the picked over, dry berries into a large glass or ceramic bowl and mash lightly with a potato masher or fork (masher is easiest). Pour over the vinegar. Cover the bowl with cling film/saran wrap and leave to macerate for 4-7 days. Stir once or twice. 2. 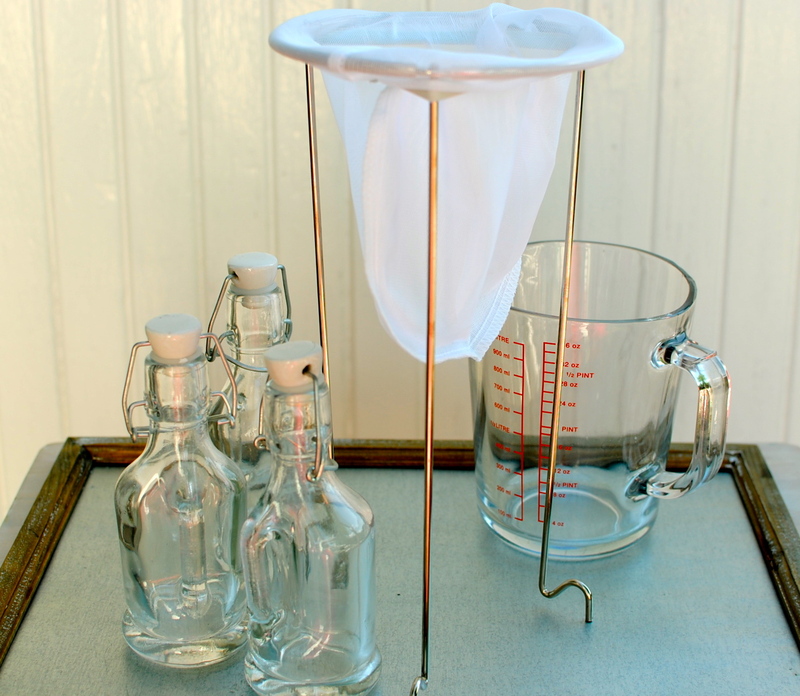 Pour the fruity vinegar into a heat-sterilised/scalded jelly bag/cheesecloth hung over a jug. To hang the fruit, draw the four corners of the cheesecloth up and tie in a knot; hang over a tap with the jug underneath. You could also tie it to the handle of a kitchen cabinet. I find it easiest to use a jelly bag-stand combo. I got mine from the grocery store, but any kitchen shop worth the name should stock them (see Lakeland – UK) as well as Amazon (US link). Cheap too. Anyway, let this hang for about four hours. Try and resist squeezing the bag to speed up the process as it will make the vinegar cloudy. I couldn’t resist a gently squeeze (in a hurry); you will see that it is a tad cloudy. I couldn’t sell it like this but it tastes just fine. 3. Measure the fruit vinegar and pour it into a non-reactive saucepan. I got approximately 500ml of vinegar. To this I added 175 grams of sugar. This was plenty sweet for us but do add up to 300 grams. The standard seems to be for every 600ml of vinegar to add 450 grams of sugar. This makes a thick syrup, whereas mine is a thinner one. 4. Bring the vinegar slowly to a gentle boil, stirring with a wooden spoon occasionally until the sugar completely dissolves. Boil gently and steadily for ten minutes. Take off the heat. 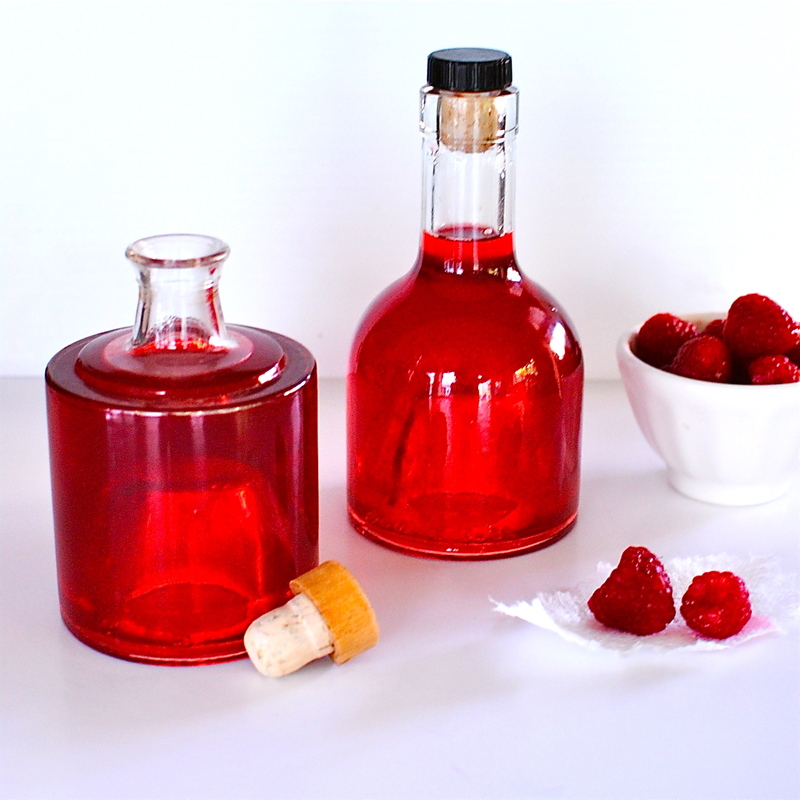 Use a funnel or sturdy pouring jug to help decant the fruit vinegar into the waiting sterilised bottles. Seal and store in a cool dark place. Homemade fruit vinegar –like good wine, to which it is related – improves with age. Leave it a couple of weeks and you will be blessed with the most exquisite, drinkable (!) condiment imaginable. But, if you are as greedy and childish as I am you won’t be able to resist drinking it hot off the spoon. Delish! Also, I guess I should add, none of these are alcoholic. This is quicker but takes a longer time of maturing to get the requisite deep flavour you probably want. All you do is take the raspberries and pop them into a large pan. Crush them with a fork or masher and cover with the vinegar. Bring to the boil then simmer for fifteen minutes. Strain off the fruit and discard. Return the ruby-red vinegar to the pan with the sugar and slowly bring to the boil, stirring occasionally. Let the vinegar simmer gently for 10 minutes before bottling and sealing in sterilised jars. You can make this vinegar without sugar too. It is perfectly fine in salad dressings as is, without maturing. This vinegar uses freshly picked rosemary. Do as for above but add two good sprigs of rosemary to the fruit and vinegar maceration. Remove the rosemary after three days (if you forget, that’s okay; it’s just a little stronger) and carry on as above. You may like to pop fresh rosemary in after bottling up, but it will go mushy after a time and it may also impair the keeping quality. Flavour combinations: strawberry and basil; whitecurrant and lemon thyme; peach and thyme; blackberry, vanilla and mint; gooseberry and lemon balm. Ideas For Using Your Vinegars: salad dressings with or without oil; marinades (chicken, pork, fish); over fresh fruit or to enliven out-of-season fruit salad; in meringues; in sorbets, granitas/ices; over pana cotta and custards; in sauces, especially meat gravies/jus; to dunk good bread in; drizzled on stewed fruit (especially as a contrast of colour and flavour); with oozing, ripe soft cheeses, pancakes, plain Madiera/pound cake, cheesecake (instead of a coulis/compote). In the past I have bottled up cooked and skinned beetroots with raspberry vinegar and a few added spices. I will be doing it again soon, sharing the simple recipe. 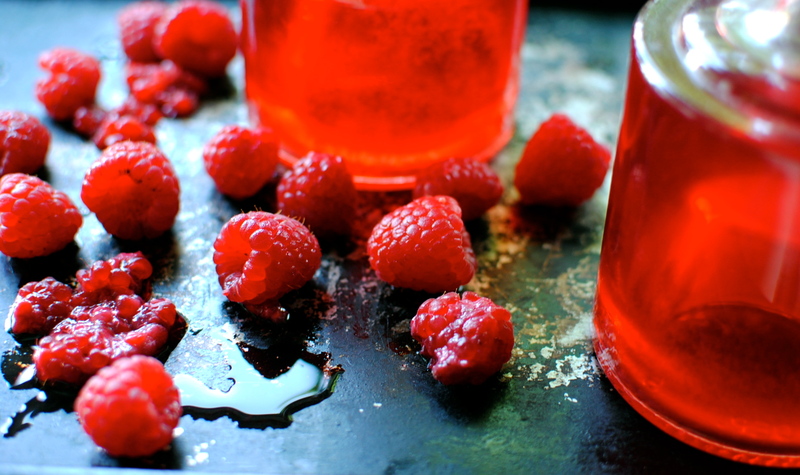 Fruit vinegars also make a refreshing drink when diluted with soda water/club soda. And a super ‘pick-me-up’ straight from the spoon! Here is an excellent piece from Hugh Fearnley-Whittingstall on vinegars and their uses, plus some great recipes to show them off. Mr A’s auntie hates vinegar too. I can understand it but I’m glad I don’t fall into that category. I know what I would be missing. This looks fantastic! I have both red and black currants to pick and what a wonderful way to use them 🙂 thanks for sharing I will try this for sure! Job done. You are set and ready to macerate! 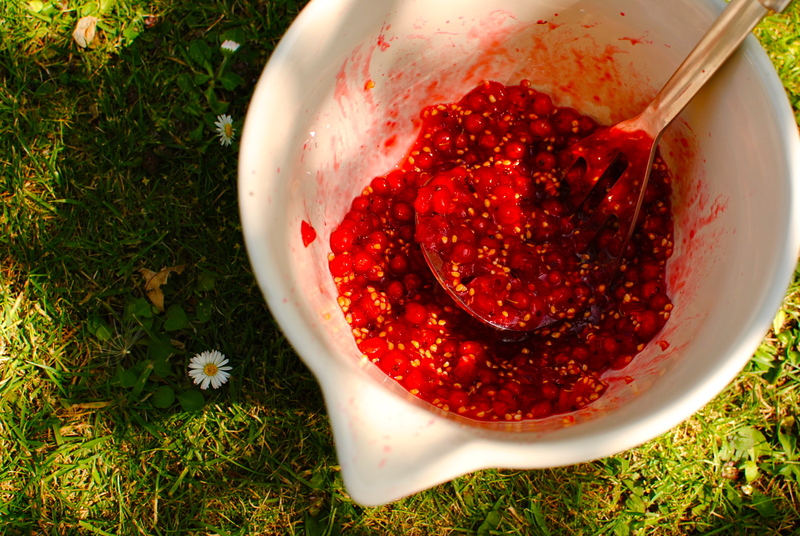 Oooh, LOVE your red currant, star anise, bay and vanilla concoction. That sounds brilliant! Must nick that idea and try for myself. 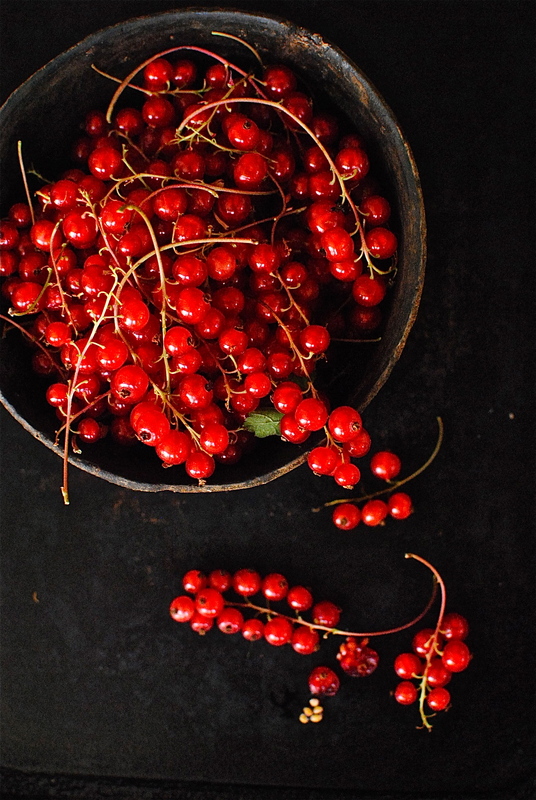 I got my red currants from a neighbour’s allotment. Did you get them from your parent’s garden or did you grow them yourself. What do you use yur vinegar on/with? Yup, I got them from Dad’s fruit garden (which is all meticulously netted) and its a bumper crop. At the weekend we had it on a cold barley ‘risotto’ which I put roasted butternut squash and red onions through but tonight I plan to do a pulled pork salad, (I remember seeing a recipe which used stewed rhubarb in the dressing along with the usual suspects like honey, soy, ginger etc which I liked the sound of) so along these lines I think. Homemade vinegars are way better than bought as you can customise the sugar & you’ll use the freshest fruit. I hope you are tempted to get some berries and try this. Never heard of this before but I will definitely give it a try! Always pleasantly amazed, Kellie! Great to hear from you Susan. I imagine it’s too hot for berries in GA but if they are ever cheap do give this a try. This looks amazing, I’ll have to try it! It’s such an easy recipe! I had apple vinegar before but never thought making them myself. Thanks for the recipe, which really inspires me. Well this uses prepared Apple cider vinegar as a base, so you are halfway there if you already have it. Cider vinegar is very common here in the UK but I wonder how common it is elsewhere. It’s really easy so I hope you give it a go. It is so worth the tiny effort. 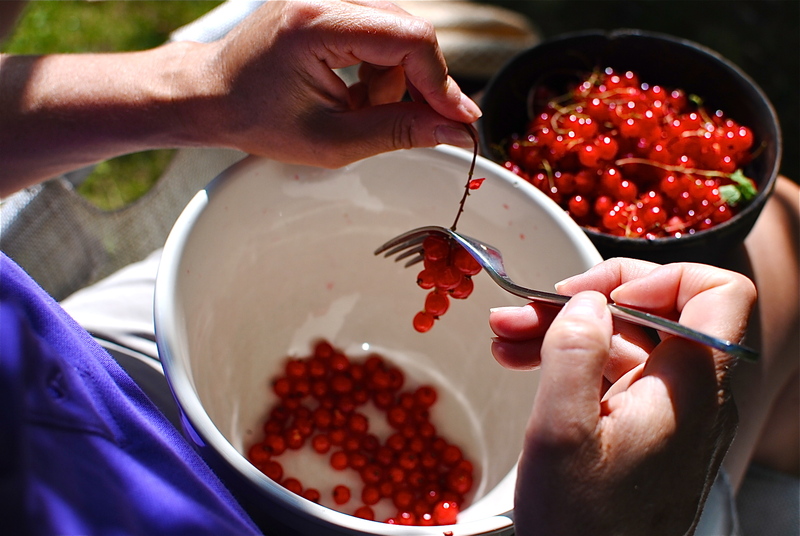 Brilliant, I’ve been wondering what to do with all my surplus red currants …….that’s the weekend sorted out for me, and I love some of your other flavour combination suggestions….yummy! Did you see Niki’ s? Now *that* looks divine. Oh I just read through the replies and found Niki’s…..that does sound good too. Maybe I’ll need to make both…I’ve never been good at choosing between two yummy things! Positively spoilt for choice now. These sound so good! I love flavored vinegars and olive oils. They add such a unique taste without the extra calories. Yum!! A little goes a long way with fruit vinegars. What do you do with them? Great idea for a post Kellie. I do love a raspberry vinaigrette. I must say some of the flavour combinations you mention above sound equally appealing! Strawberry and basil; whitecurrant and lemon thyme; gooseberry and lemon balm – delicious on some fresh salad leaves! Ah cheers, my lovely! As I said to another commenter you can ‘tart up’ (foodie humour. Lol) vinegar with most any fruit. The fun bit is deciding what herbs you might like. Love Niki’ s idea. Well you can make them with most any fruit, so no need to wait til summer is upon you. Wishing you warm! Oh Kellie I am hoping I get another glut of raspberries this weekend on the allotment. Slurp! Oh my gosh how fun and delicious! I really want to try this! However, we don’t really do sugar in our house any more, would agave work or would that mess with the process? As long as you use it within a year and use sterilized bottles it should be fine. Making actually vinegar itself, the fermentation of apples, grapes, rice or whatever, to make vinegar is a whole other issue. I’ll leave that to the experts! love this, i’d definitely like to give this vinegar-making a try. i spend a lot of $$ on flavored vinears….. I did too. I am thrilled to find that it is so easy. And weirdly fun, too! Any suggestions for apple cider vinegar? I’ve heard it’s really good for you and just bought a bottle, but I haven’t figured out what to do with it! The photos look so delicious, definitely want to give this a try at some point! 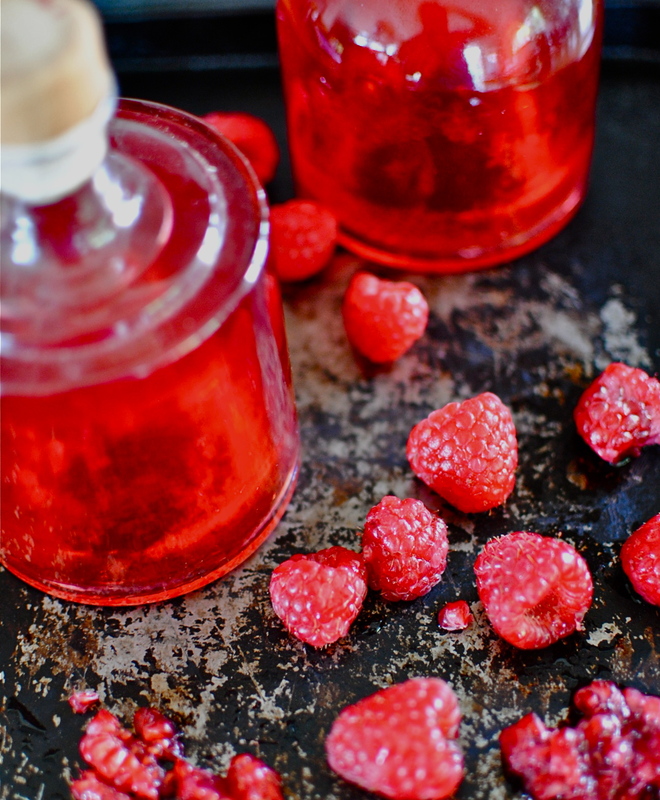 I love your raspberry vinegar recipe! I’ve used it in a couple of shrub drinks and with a raspberry steak. what about walnut champagne vinegar. I buy it and its wonderful with walnut for light summer salads and on steamed veggies. Never thought of making my own, but seems like it should work. Anyone every done this. ?